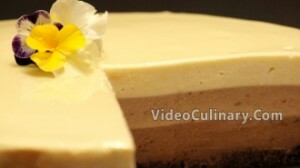 This triple chocolate mousse cake consists of white, milk and dark chocolate mousse, and a rich chocolate cake layer. 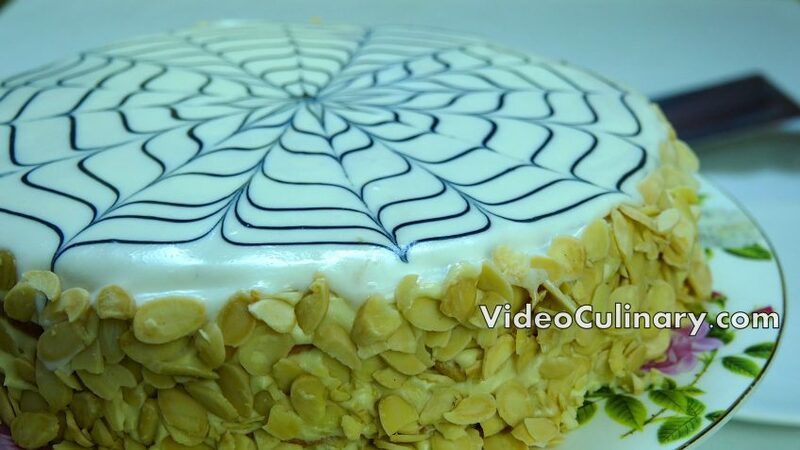 Make this beautiful, incredibly light and unforgettably delicious cake. 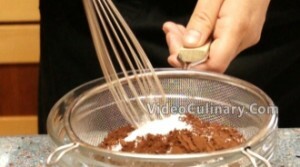 Make the chocolate cake: Line a 26 cm (10 inch) cake pan with parchment paper and brush the pan with softened butter. 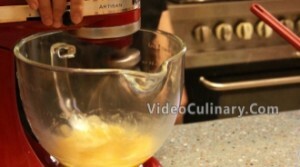 Place an egg, 60 grams (2 oz) of sugar and a teaspoon of vanilla sugar in the bowl of a stand mixer. Whip on high speed until fluffy. 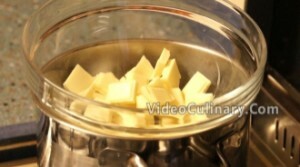 Continue whisking, and add 50 (2 oz) grams of soft butter. 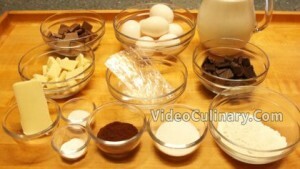 Sift together 60 grams of flour (2 oz), 20 grams (0.7 oz) of cocoa powder and one teaspoon of baking powder. 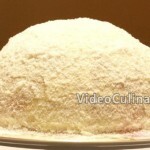 Fold the sifted ingredients into the egg mixture until incorporated. 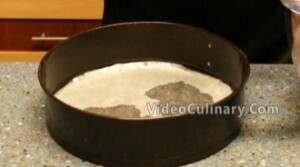 Transfer to the cake pan and bake at 180°C (350°F) for 10 – 15 minutes. Cool for about 10 minutes, unmold, remove the parchment paper and cool on a rack. 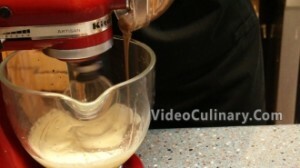 Make the dark chocolate mousse: Chop 150 grams (5.5 oz) of dark chocolate (minimum 60 % cocoa). Melt the chocolate in a bowl set over simmering water stirring frequently. Set aside. 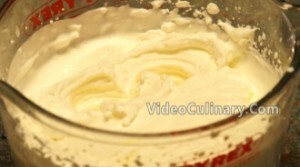 Whip 300 ml (10 fl oz) of cream (minimum 30 % fat), cover and set aside in the fridge. Bloom 2 grams of gelatin sheets in cold water for about 5 minutes. We are using gelatin sheets, but you could use granulated gelatin too – follow the instructions on the packaging of your gelatin. Combine an egg, an egg yolk and 30 grams of sugar in a bowl. 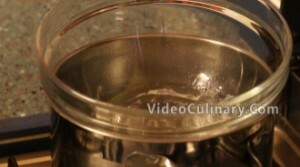 Set over simmering water and bring to 57°C (135°F), whisking constantly. 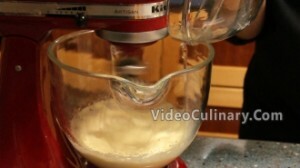 Transfer the egg-sugar mixture to the bowl of a stand mixer and whip on high speed. Meanwhile, strain the gelatin sheets and melt over simmering water. 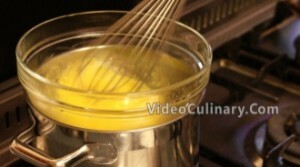 Add the melted gelatin to the still-warm egg mixture, and continue whipping on high speed until the mixture reaches room temperature. 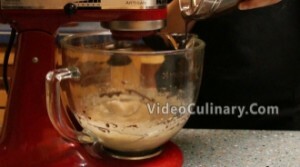 Mixing on low speed, add the melted chocolate into the egg mixture. 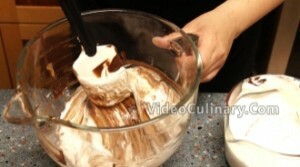 Gently, fold the whipped cream into the chocolate-egg mixture in three batches, until incorporated. 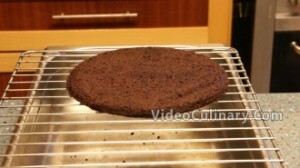 Place the chocolate cake in a 26 cm (10 inch) spring-form cake pan. 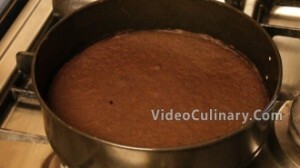 Spread the dark chocolate mousse evenly over the cake layer. Place in the freezer. 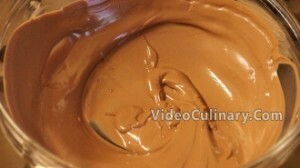 Make the milk chocolate mousse: Chop 150 grams (5.5 oz) of milk chocolate. 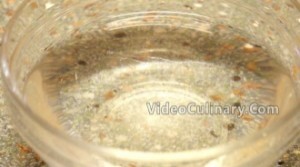 Melt the chocolate in a bowl set over simmering water stirring frequently. Set aside. Bloom 4 grams of gelatin sheets in cold water for about 5 minutes. We are using gelatin sheets, but you could use granulated gelatin too – follow the instructions on the packaging of your gelatin. Combine an egg, an egg yolk and 30 grams (1 oz) of sugar in a bowl. Set over simmering water and bring to 57°C (135°F), whisking constantly. Meanwhile, strain the gelatin sheets and melt over simmering water. 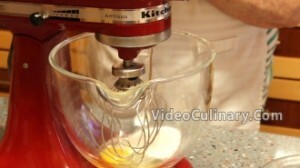 Add the melted gelatin to the still-warm egg mixture, and continue whipping on high speed until the mixture reaches room temperature. 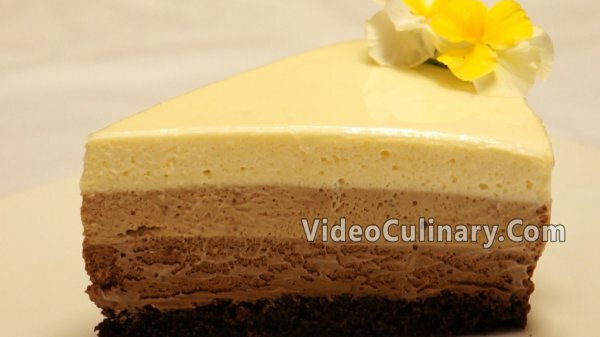 Remove the cake from the freezer, spread the milk chocolate mousse evenly, and place in the freezer. Make the white chocolate mousse: Chop 150 grams (5.5 oz) of white chocolate. Melt the chocolate in a bowl set over simmering water stirring frequently. Set aside. Combine an egg, an egg yolk and 30 grams (10 fl oz) of sugar in a bowl. Set over simmering water and bring to 57°C (135°F), whisking constantly. 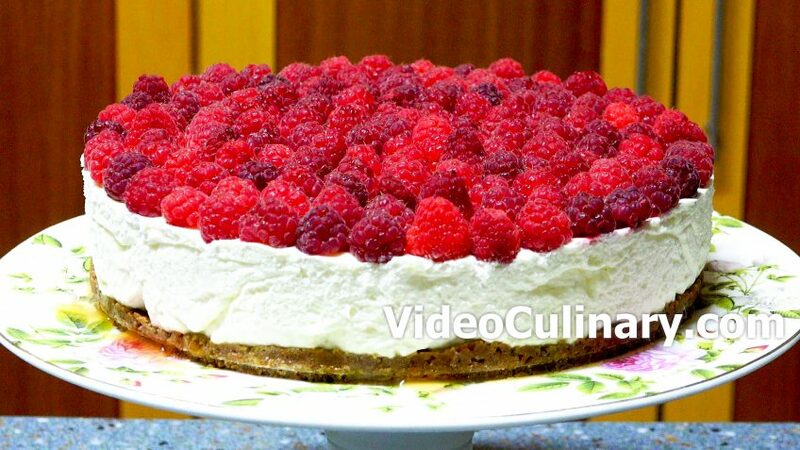 Remove the cake from the freezer, spread the white chocolate mousse evenly and refrigerate until completely set, about 10 hours. 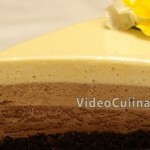 Unmold the triple chocolate mousse cake. This cake is already beautiful, and it is ready to serve. We added one last touch, and covered it with shiny clear mirror glaze. 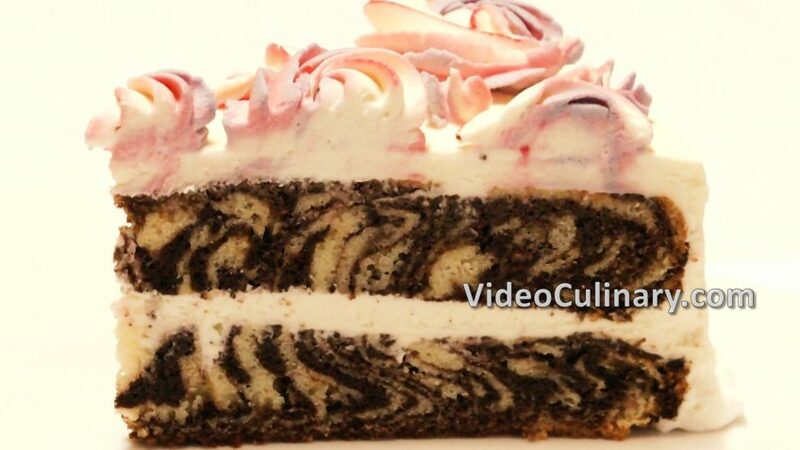 Find different glaze recipes in the Decorating Cakes section on our website. Transfer the cake to a serving plate. If you glazed it, place it in the fridge until the glaze sets, and serve.